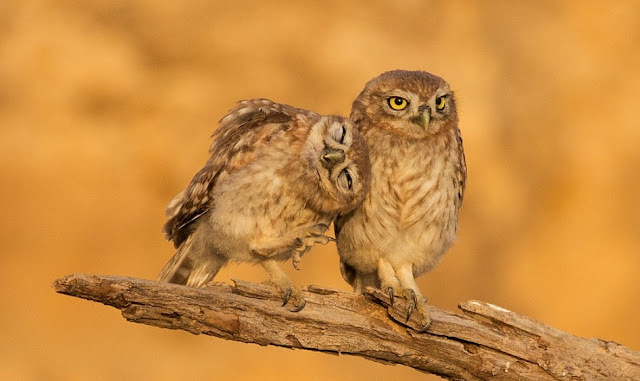 These pictures capture the hilarious moment an owl hoping for some affection from a fellow bird gets given the cold shoulder. 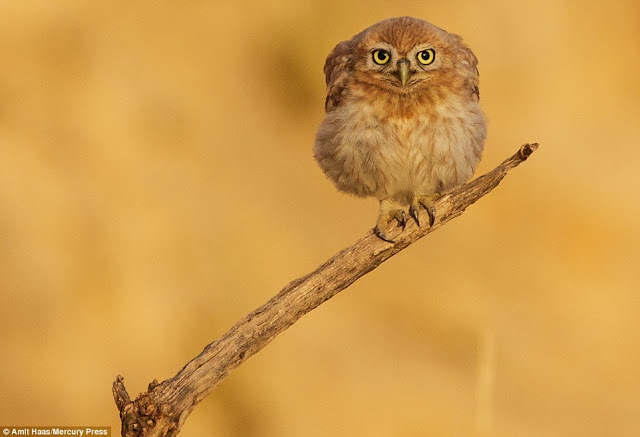 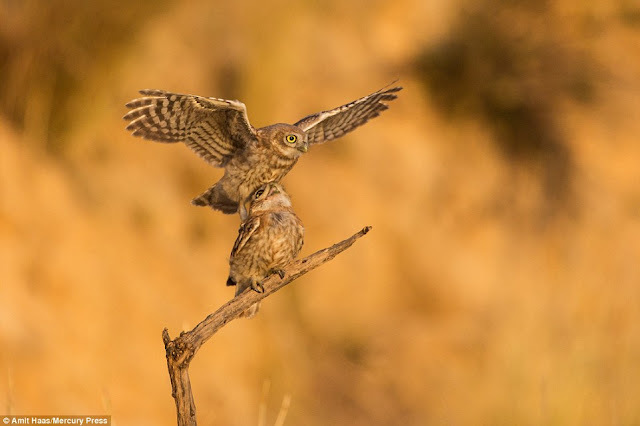 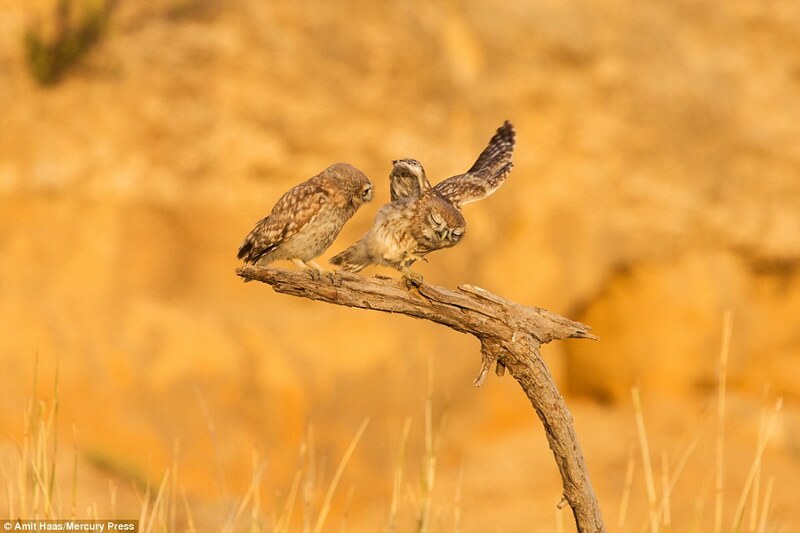 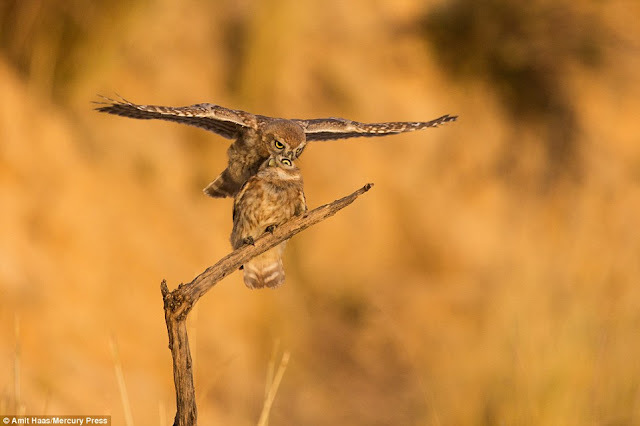 The fledgling owls, caught on camera in Israel’s Judean desert, appear to enjoy a play-fight as one perches itself on top of the other whilst pecking at his friend’s head. 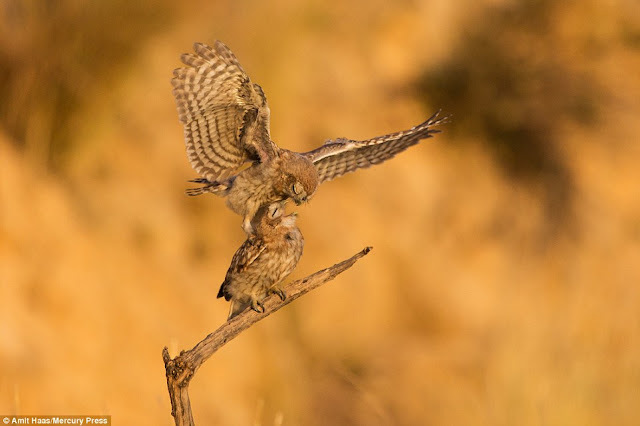 But it seems making up afterwards wasn’t so simple. 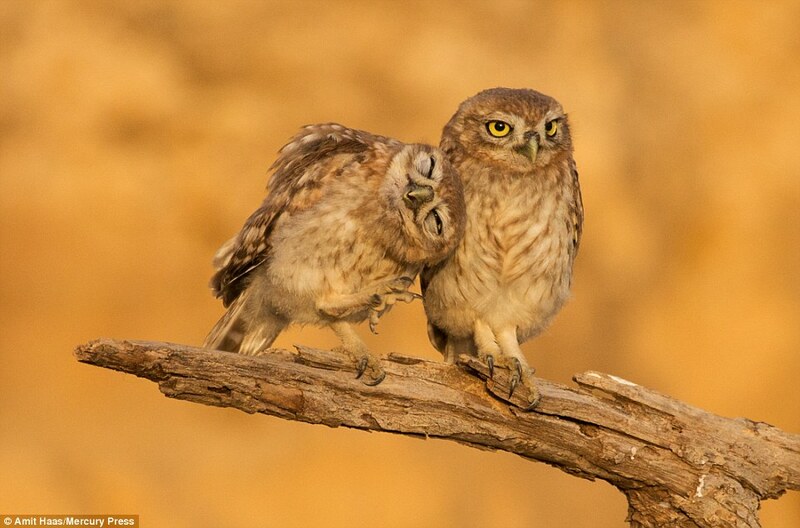 After the brief fracas one of the birds tried to cuddle up to its pal – but the other just didn’t seem to give a hoot. The owls were caught on camera by Amit Haas, 39, an an architect from Tel Aviv, Israel, who had to hide and photograph the birds from a distance using the long lens. Responses to "Pictures Capture The Hilarious Moment An Owl Hoping For Some Affection"